Adoption is forever. 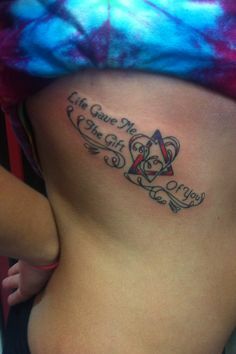 So are these 8 tattoos people have gotten to honor it. Get inspired by these adoption-themed tattoos! Other tattoo ideas: incorporating the Hawaiian word for family (Ohana) or an outline of the state or country from which you adopted with the child’s name or birth date. There are also many Bible verses related to adoption, like John 14:18: “I will not leave you as orphans; I will come to you.” See if your spouse or the birth mother wants one as well. Your child’s birth mother may not want it simply because if it’s visible, then she will be asked about it, and she may not want to make her story so public. My final word of advice about adoption tattoos is to wait until the adoption is finalized to get inked. This is my own wrist tattoo I got in honor of my son and his open adoption. The symbol is the adoption symbol - a triangle representing the adoptive parents, the birth family, the child, and the love they share. 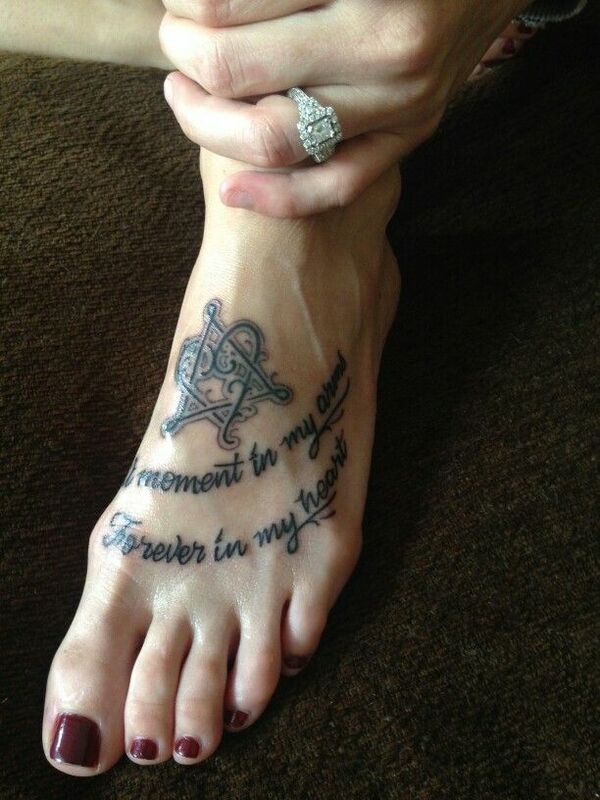 Below it are his initials. If we adopt again, I will put that child’s initials below his. 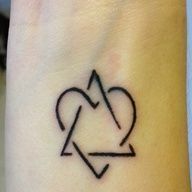 A minimalist-like, simple adoption tattoo. 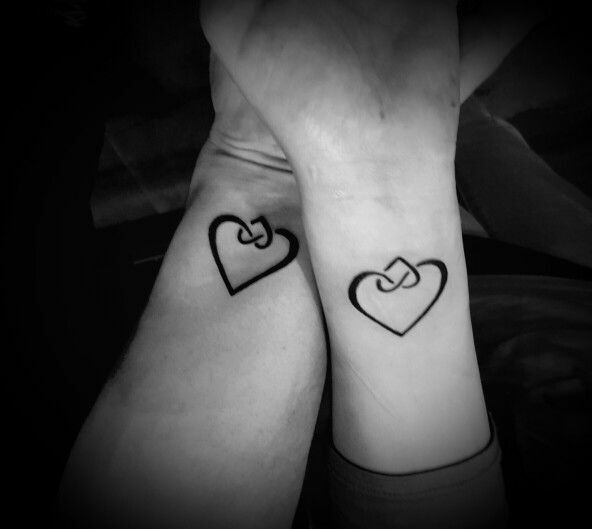 Another variation of the adoption symbol (intertwined hearts) but tattooed on both mother and adoptive daughter. Maybe some birth mothers out there would want this too. This incorporates religion with a cross symbol in addition to the adoption symbol. 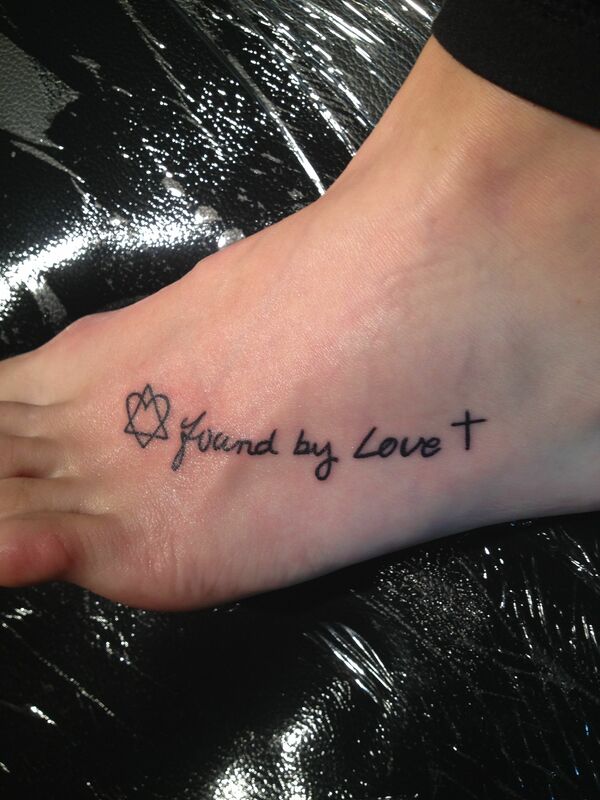 The phrase, “Found by love” to me could mean a few things - the love of God, the love of the adoptive parents, and the selfless love of the birth mother who placed her child. 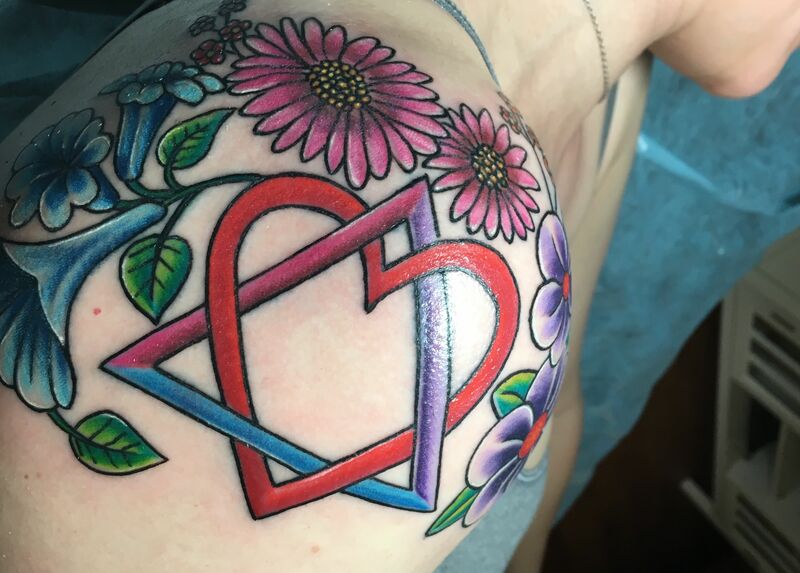 Adoption symbol tattoo with adopted children’s birth month flowers surrounding it.